The Butterflies EP is a 12″ collecting 6 tracks on a compilation (1983-2016) by the Amsterdam based label TOP TAPE (founded 1986) run by S.M. NURSE aka EM aka NO HONEY FROM THESE aka Menko Konings I used to work with on the Dunkeltier Rising EP on Macadam Mambo. 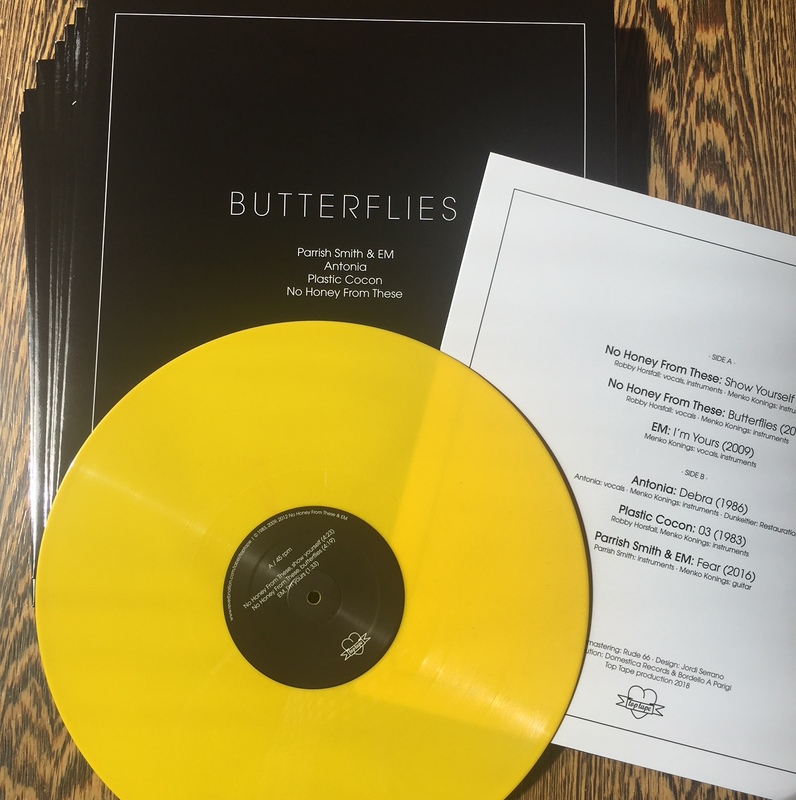 On this release of 500 copies on yellow vinyl you find old and new work, old and young artists, like the talented Parrish Smith. The album has been remastered with care by Rude 66. The S.M. Nurse produced track “Antonia – Debra” has been restored from tape by the Dunkeltier. Distribution by Domestica Records and Bordello A Parigi.